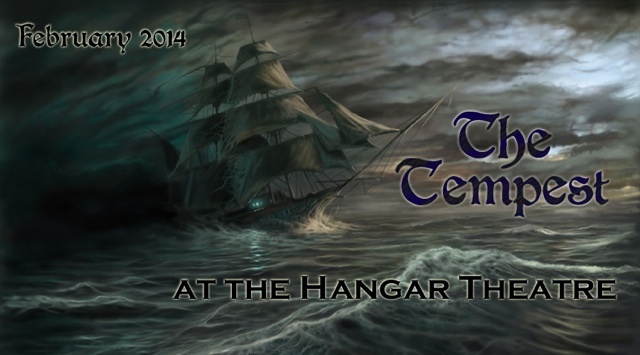 We're very excited to announce that the first production of our 2014 season will be The Tempest, performed at the Hangar Theatre, February 14-23, 2014. This represents a major new collaboration between two of Ithaca's premiere theatre organizations, so get ready for a winter Shakespeare event that will really be something special! Keep an eye out for more details about this and the rest of our 2014 season! Want to be part of this amazing show? 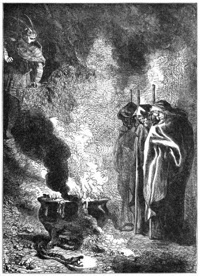 Auditions for our February production of The Tempest will be held on Saturday, October 19, from 2:30 to 6 pm, at Fall Creek Studios, 1201 N. Tioga St.
Where: Fall Creek Studios, 1201 N. Tioga St.
Come celebrate the witching season with us! Watch your favorite ISC actors perform spooky scenes and speeches from Shakespeare, while the Three Weïrd Singers (aka Elizabeth Banlaki Frank, Kristen Park, and Melissa Snyder) perform a collection of Shakespeare-inspired music spanning three centuries. A limited selection of theatrical costumes will be available for lending to those who don't have their own, but we encourage you to come dressed in your Halloween best! Refreshments will be served, children are welcome, and it will be a frighteningly good time for all! Join us as we close out 2013 with a staged reading of Paula Vogel's Desdemona, A Play About A Handkerchief, November 8-10 at Fall Creek Studios. This modern re-vision of Othello takes the three female characters from Shakespeare's play and imagines their lives, personalities, and relationships very differently from the way they are presented in Shakespeare's play. This all-female production is intended as a follow-up and companion piece to ISC's production of Othello this past summer. It features two members of the Othello cast reprising their roles: Marissa Biondolillo will again play Desdemona, while Judith Andrew returns as Emilia. The cast is rounded out by Melanie Uhlir as Bianca, and Judith Pratt will direct. Paula Vogel received her M.A. from Cornell University in 1976 and was awarded the Pulitzer Prize for drama in 1998. Desdemona premiered in 1979 and is structured in thirty "cinematic 'takes' " of varying length. Both provocative and thought-provoking, the play blends humor with a critical examination of the treatment of women in Shakespeare's play. Please note that this play contains mature subject matter and is recommended for adults only. Seating for both events is strictly limited, so don't wait too long to get your tickets!